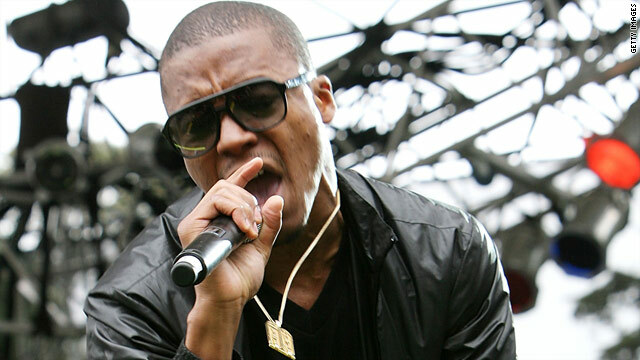 Fans of Lupe Fiasco are none too happy that the Chicago rapper’s forthcoming album, “Lasers,” has no set release date, and they've created an online petition with strong words for his label. The request already has over 16,000 signatures, and accompanying the petition is a letter to the bigwigs over at Atlantic Records. Fiasco first made the announcement about “Lasers” in June 2009, and two singles, “Shining Down,” and “I’m Beamin,” followed. Readying himself for the Asian leg of his “Steppin’ Laser Tour,” the 28-year-old artist sat down with BBC’s DJ Semtex to talk about his reaction to the petition. It looks like Atlantic Records just may meet those demands; not only is the label retweeting the "WeWantLasers" hashtag, but they also tweeted last week, "#Lasers is coming folks!" How awesome. It's so cool that people who pull together in the name of MUSIC can still have a voice these days. It's a shame what record labels are doing to artists these days. They see them as nothing more than property. HIP-HOP LIVES! Finally, some much needed nation wide support. thanks! It's good to see CNN (the real news network) reporting on this matter. Lupe is one of the best MC's out there and deserves to have his album released. The music business as a whole is filled with unoriginal negative cliches and I for one would welcome a new Lupe album. Woah CNN You did it this time, respect and much love to you. WE WANT LASERS! This wouldn't be possible without the movement. Shout out to them! Shout out to Gavin for putting together this piece. Shout out to Lupe for making great music. This album is going to be amazing! I just hope the exects over at Atlantic don't overthink this one. It's already been over a year since this album was introduced. It's simple: if it's good music share it with the people. i have much respect now for cnn! go LUPE! WoW big ups to CNN and the rest of the Lasers movement. I'm so proud of what was accomplished through out the whole week. Thanks to the CNN for supporting the issue, we seriously need new material from this incredible genius! We want lasers!!!!!!!! thank you CNN for posting this can we get this we need this on Air!!!!! Appreciate CNN supporting music that has substance unlike many other media outlets! I agree with Ashley, getting this on the main page would be amazing! Nice to see the support and publicity CNN good to know we aren't falling upon deaf ears in the media unlike in the music industry. Well written and informative article. Thanks for supporting the movement when most major news networks probably wouldn't. Generation LASERS stand up! Keep the movement going! #WeWantLasers. Thank you CNN for posting this. It would be great if you could make this story a headliner...Lupe is an amazing artist who is not getting the credit he deserves. His music is thought-provoking, creative, and drastically more interesting to listen to than the garbage that floods mainstream radio these days. I told you guys that you're the best news report center by far right? Thanks a lot! thank you. We would appreciate this on air so much, but thank you for even posting it. OMFG WE MADE IT!!!! THANKS CNN! Thank you so much CNN. We really appreciate it. Is there any way this could go on air or on the front page? Also thanks very much! Whoa! This is big, hopefully they air this and we officially get a release date. Thank you so much for giving us a chance to spread this news. Lupe is the most positive musical artist out there. Front page would do wonders.